The humble spud - you can get one in the UK for about 20p. Skint? Need A Meal Which is Cheap and Nutritious? Look No Further! This recipe - no real cooking involved unless you count making the cup of tea or coffee to drink whilst you're waiting for the microwave to ping - is delicious and nutritious and it will cost you next to nothing. Baked Potatoes provide us with a wonderful 'canvas' for other foods because in general, potatoes are a fairly bland vegetable. I tried this recipe first with my daughter who has now learnt to make it herself. She loves the ease of it, all ready to eat in half and hour. I'm a bit sneaky because I actually cook the potato in the microwave before finishing it off in the oven. If you crisp up the skins in the oven, it makes a huge difference to the taste of the potato but the microwave is invaluable in making this a very quick meal. 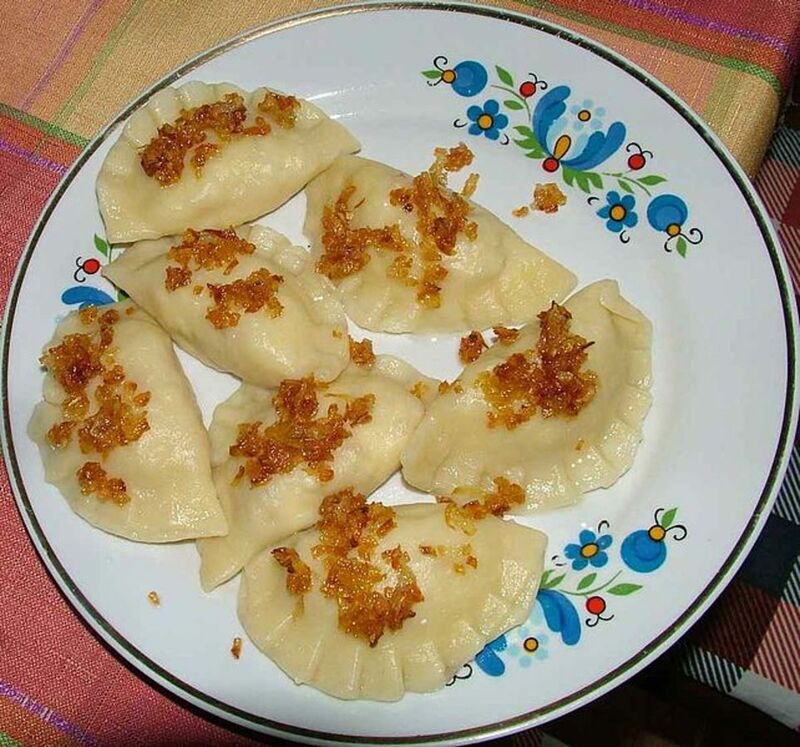 I have suggested it as a cheap meal for students but it equally suits teenagers at home - no real hard work involved and even the daftest teenager can usually manage to work out how to grate cheese and mash potato. 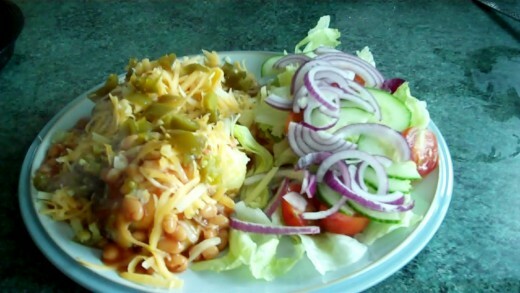 I hope you enjoy this ultimate baked potato, with or without the Jalapenos, I know not everybody likes spice. An alternative would be to replace the Jalapenos with bacon bits which also work really well with beans and cheese. Ultimate Baked Potato Must Haves - Keep It Cheap! 6-8 chopped Jalapenos, depends how spicy you like it! 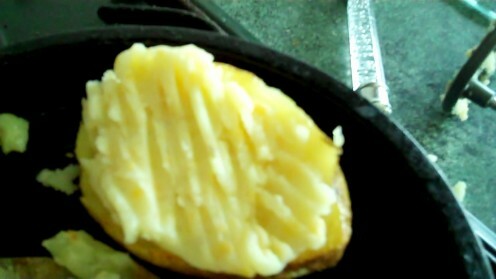 Baked potato, fresh out of the microwave, sliced in half. Score the potato with a knife, makes it easier to scoop out of the skin. Beans ready for the microwave - cover them up before you cook them. 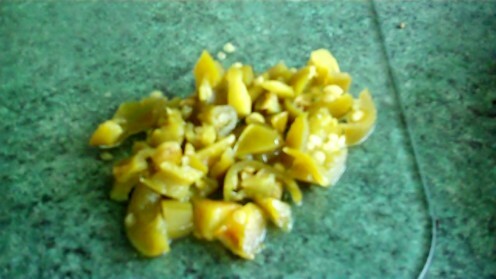 Chopped Jalapenos - chop them with a knife and fork, stops your fingers from getting spicy. Put your salad on the plate and place in fridge ready to place the potato on when its cooked. Switch on your over - 220 degrees Celsius (425F). Wash 1 baking potato, dry and stab both sides with a fork. Wrap potato in 1 sheet of kitchen towel and microwave on a plate for about 8 minutes (depends on size, check it after 6 minutes). Grate cheese & leave to one side, chop Jalapenos and leave to one side. 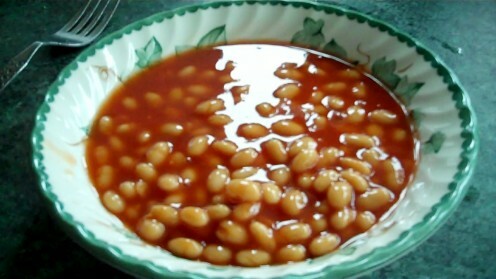 Pour beans into a bowl ready to microwave later. Ping! Take potato out of microwave. Leave to rest for 5 minutes. 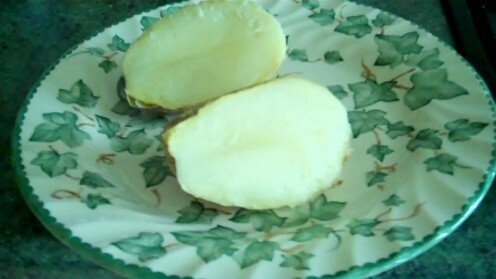 Cut potato in half, score the potato with a knife, this makes it easier to scoop out with a tablespoon into a bowl. Be gentle, you need to keep the potato in one piece. 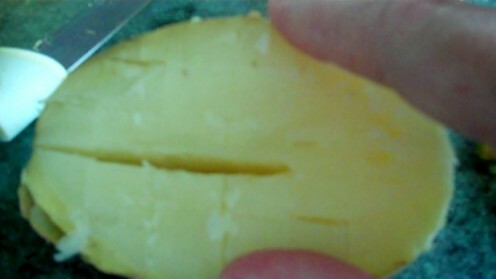 Pour half the cheese into the potato, add the butter and mash with a fork or a potato masher if you have one. Add black pepper and salt to taste. Place your potato skins on a baking tray and lightly pour a tablespoon of olive oil over the skins. Rub in with a piece of kitchen towel. Place potato skins in oven for 2 minutes. Remove potato skins from over. Place the mashed potato, cheese and butter mash into the potato skins. Place back in oven. Cook for 5 minutes, 220C/425F. Place beans in microwave when the potato has been cooking 3 minutes, cook beans for 2 minutes on full power. Take plate out of fridge, add potatoes, pour over the beans and add the remaining cheese, sprinkle over the chopped Jalapenos. Eat! 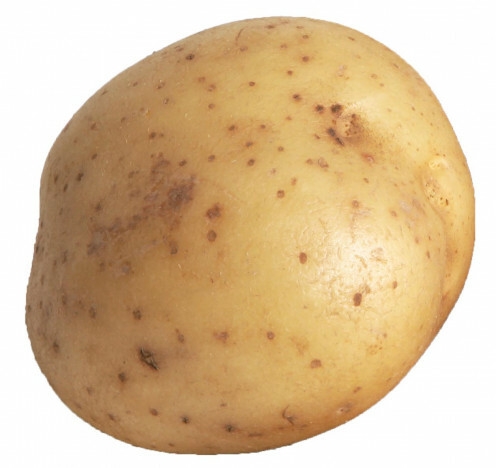 The average baked potato has five and a half times more fibre in it than a banana! and......you would need to eat 3 avocados to get as mch vitamin C as you'd find in 1 baked potato. All in all, the humble spud is a pretty nutritious food - so get cooking! Sue, your recipe sounds very tempting too and would also be a cheap (and healthy) one for students. 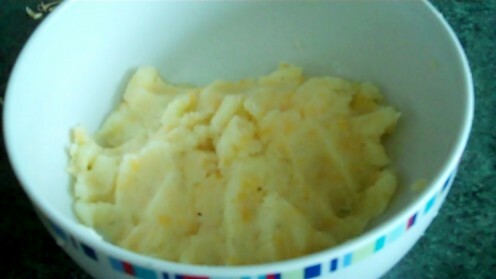 teaches12345, baked spuds are so easy and take very little to make them tasty. This is a regular lunch meal for my daughter and she makes it for her friends now as well.Thanks for your comment. Just caught this on the "times". Wow, what a great potato. Great job on the video demonstration also. I do love having one as meal now and then, this recipe will make it to the table next time. Ish, thanks for your comment. Glad you liked it - baked potatoes are a fail safe for me! An engaging recipe hub filled with clear instructions, readily available ingredients, good video and above all, drool-worthy first photo! I am a big fan of potatoes and undoubtedly, I will enjoy your tasty recipe. Way to go! 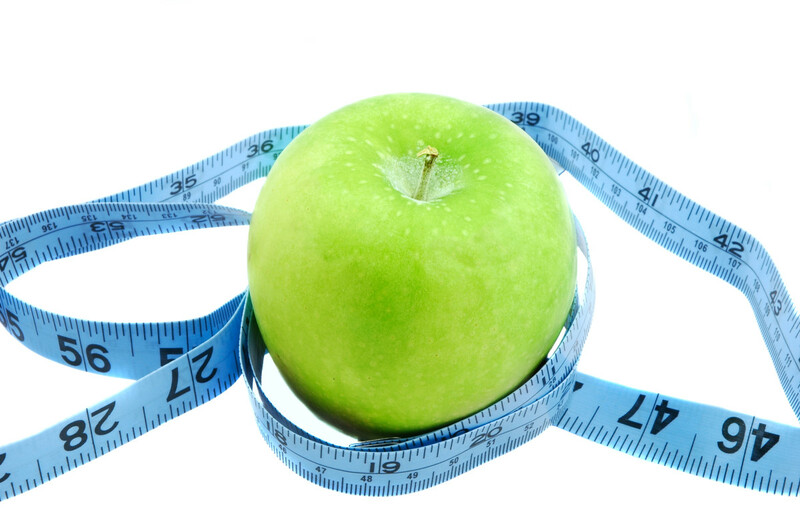 Lady_E, I am keeping off my profile page cos I'm on a diet :o), many thanks for your comment, I appreciate it. That is so lovely and fresh. The beans and side salad.. Thanks. 5 Star. Christy -definitely suitable for 'non' cooks and quick too! Many thanks for your comment. What an inventive recipe. I will be trying this one cause it's good for less-than-professional chefs and its sounds yummy too! Sally, you can't really fail with a baked spud can you? And I'm all for convenience. The japlapenos are the finishing touch here, they really give it that bit of oomph! Easy, delicious, nutritious, and cheap! This one's a winner in every way. I like the tip about the bagged salad. It just makes the whole meal easier. I'm adding this hub to my list of resources for "cooking for one." Up, useful, interesting.! 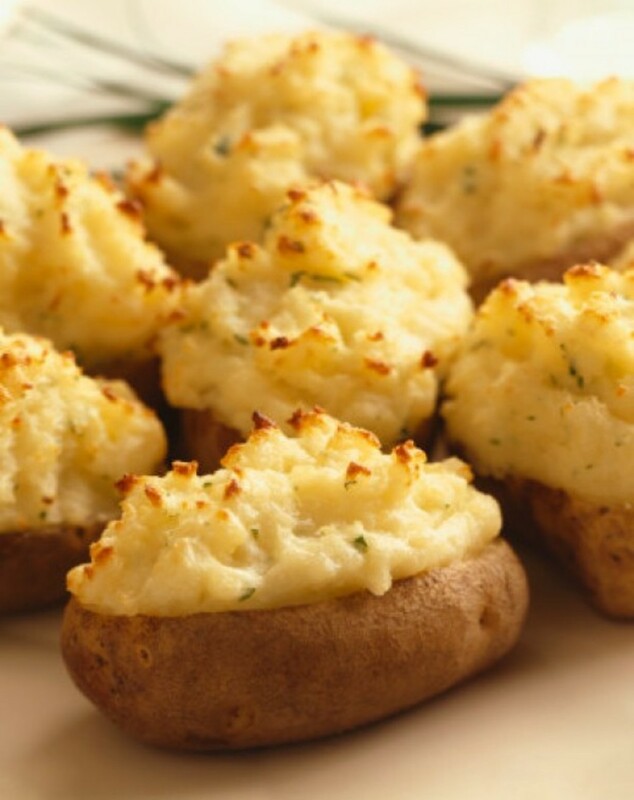 I love baked potatoes too, and these are ingenious ideas for non-cooks! Thanks for sharing! Will bear this in mind for tomorrow's meal! Yummy, scrummy - thank you! Good suggestion and definitely sounds easy enough for a quick dinner. Voted useful. Rosemary, the jalapenos are a nice finishing touch, you're right. Also works with tuna and mayo instead of beans. My daughter also loves tuna and mayo toasties. She's just a baked spud fan full stop! Thanks for commenting Nell, I appreciate it. Stephanie, sorry for the delay in replying :o}, yes, cheap and cheerful always gets my vote. Victoria, thanks for visiting. My daughter is still demanding these on a regular basis! Yummy, yummy! I love baked potatoes as a quick, easy, cheap meal! the more stuff piled on them, the better! Great hub! Great ideas for students on a budget or anyone who wants a quick, nutritious meal. These fancy baked potatoes would make a good lunch instead of sandwich or soup. phdast, yes, baked spuds are a great 'go to' emergency meal when you're in a rush. I still can't stand them straight from the mocrowave, hence my 'finishing off' with oil in the oven, I like crispy skins but they make a great base for a lot of toppings. Thanks, as always, for your comment, I appreciate it. Jools - Great idea. There are so many wonderful ways to dress up a potato. Healthy, nutritious and cheap. Perfect for families or college students. Yes,'skint' means broke in the UK, thanks for your comment. It's amazing how a little bit of spice can lift a meal. I enjoy having a baked potato for lunch. I like mine topped with pico de gallo if I have some handy. If not, just butter and salt. I eat the skins too. "Skint" - must be a British term for broke? I had a huge baked potato the other day. It was massive. These are some great ideas for fillers. Thanks for sharing. Voted up food for skint students everywhere. Katyzzz, many thanks for dropping by and leaving your comment - aren't potatoes versatile! Angie - SNAP! I can't stand microwaved baked spuds, they just don't taste the same so this is my cheat's baked spud, cook it quickly then crisp up the skin and make it go all melty in the over - perfect! Ooo goody ... an easy recipe. ... so finishing them off in the oven is a touch of genius. Thanks Lesley, I kust used my Flip Mino,it's pretty basic but it did the job. Not reeady to do a 'video' on HP yet, you'd get to hear my broad Geordie accent so I'm giving it a miss! 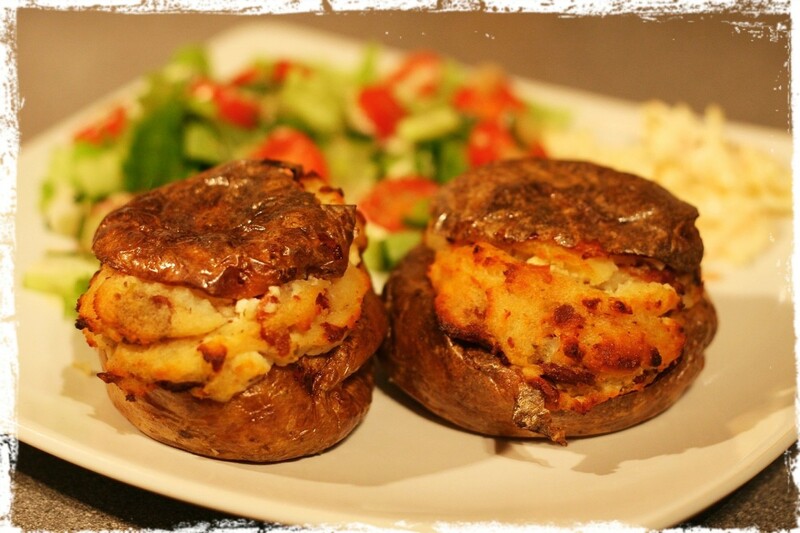 We love baked potatoes, they are a great easy meal! thanks for the recipe and your video is brilliant! Hi Audrey, thanks for your comment. I hope you give it a try, the jalapenos certainly add a bit if oomph! Yes, tuna and sweetcorn is also a lovely filling, I extend that slightly and add peppers and spring onions as well, yummy. Hey this is a great hub. I love a good jacket potato especially with tuna and sweet corn! Jamie, thanks for your comment, it's pretty low fat anyway if you cut back on the cheese & butter a bit, but I do love them both! This looks delicious and it would be easy to make a low fat version of this.. thank you for sharing! Sunshine, thanks so much for your comment. This was the first time I've used my Flip Mino to make a video as well so I've had an interesting afternoon. Bob, thanks for commenting - I can recommend the Jalapenos for adding a bit of oomph but as long as you've got a piece of cheese in the fridge - sorted! You have finnesed my favourite quick meal! I like the idea for when I have guests. My way is more crude and have not used jalepeno to date. Well done Julie! 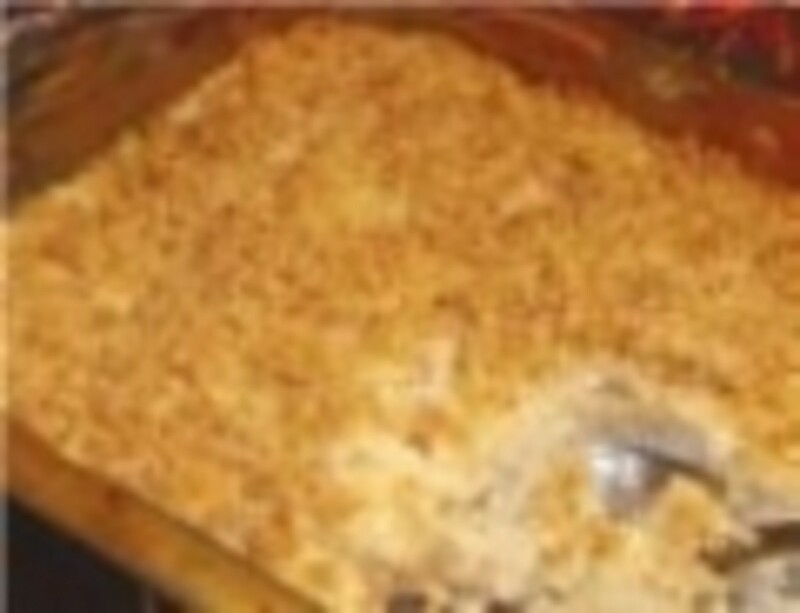 Baked potatoes are awesome and so are your video and recipe! I love baked potatoes. This looks yummy and quite easy. And the new recipe format worked out well for you.